Faculty can Now Submit Final Grades through Blackboard – Learn More By Attending Our Info Sessions this Fall! 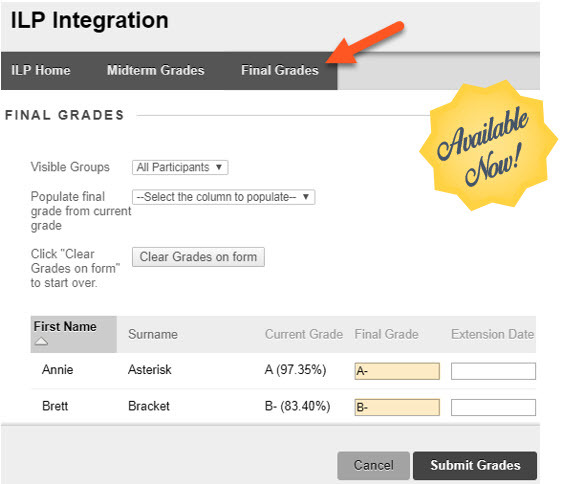 Successfully piloted in Summer 2017, the tool to submit final grades from Blackboard to INFOnline is now available in your fall courses. All faculty may use this tool. To learn more, review our tutorial, FAQ, and training videos. Faculty are also invited to attend an in-person information session at the Milwaukee Campus this fall. To attend, send an RSVP email to tltdept@matc.edu – space is limited. To make the most of this session, review the tutorial prior to attending! Additional dates will be announced as we get closer to the end of the semester – watch your MATC Gmail for updates. Review our tutorial, videos, and FAQ. Contact the TLT Department if you have questions.